When you need reliable mobile auto repair services in Slaughter Creek, TX, you have two choices: You can either interrupt your schedule to visit a local car repair shop, or you can sit back in the comfort of your home while your car gets fixed by a team of professionals. At Slaughter Creek Mobile Auto Repair, in Slaughter Creek, we think customers like you deserve and prefer the latter. That's why we offer comprehensive mobile auto repair services designed to make your life easier. You can never predict when your car will break down. If you are faced with such a situation, call our friendly mechanics at Slaughter Creek Mobile Auto Repair. Rest easy knowing that once you've called us, we'll be there in no time! 24-hour emergency service is available. Our mobile mechanics will reach out to you no matter wherever you are in any condition. Not sure what's the problem? Call Slaughter Creek Mobile Auto Repair, and we'll thoroughly check your car after going to your place using state-of-the-art computer diagnostic equipment. Don't forget to ask about our senior and military discounts. 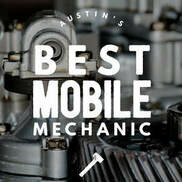 Call for a friendly and low cost service at Slaughter Creek Mobile Mechanic: 512-746-7277 Mobile Mechanic Slaughter Creek, TX.